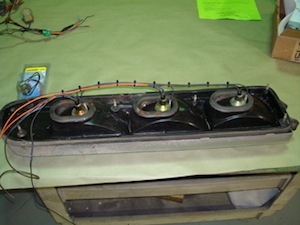 By following these instructions you can install sequential lights and any vehicle that has two, three or four stoplights. 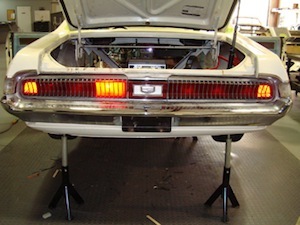 In this example we will retrofit a Mercury Cougar that had sequential turn signals with an updated version provided by Classic Design Concepts. 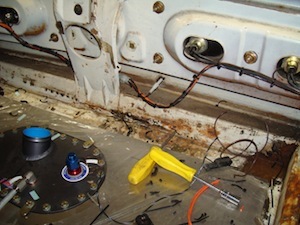 1.We are going to replace this wiring harness will all new wires and sockets. 2. 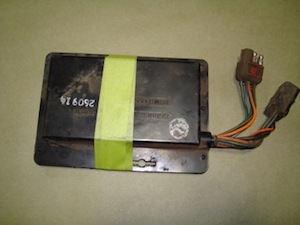 And we are going to replace this control module with the newer, smaller, version. 3. 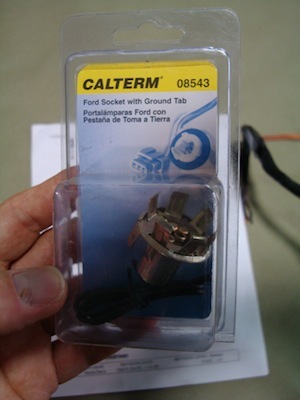 You may have to do some research to find new sockets that fit your vehicle. They need to be the two-post type for double element type lightbulbs. 4. 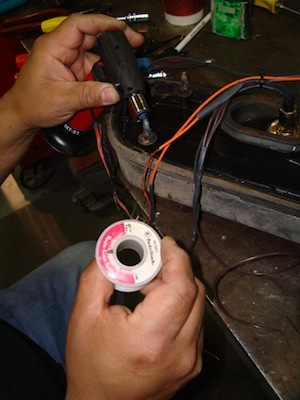 Here we are taking off some of the tape to give us better access to the wires. 5. 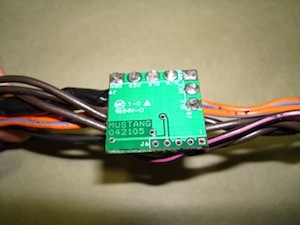 This green circuit board is the complete Design Concept brain, attached to their wiring harness. 6. And here is the backside. 7. 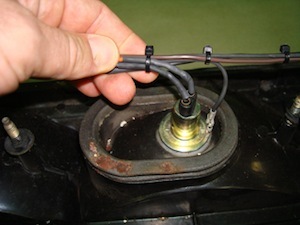 Once the new sockets are installed we like to use small plastic ties to keep the wires under control. 8. 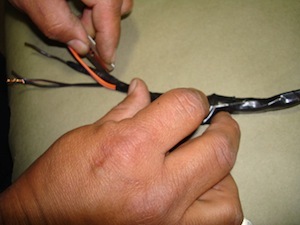 And we use shrink insulation tubes over wire splices to both protect the connection and give a clean appearance. 9. 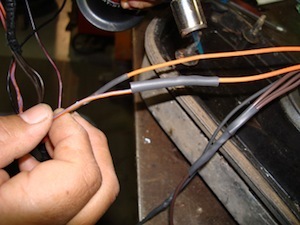 Then it is just a matter of soldering all of the wires to the new harness. 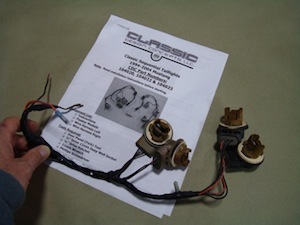 There are a lot of connections but the wiring diagram in the harness kit will keep you out of trouble. 10. 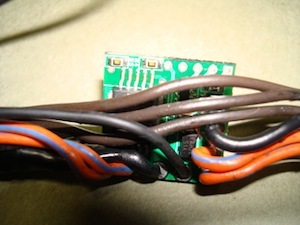 Do not forget to put the shrink tubing on before you solder the connection! 11. 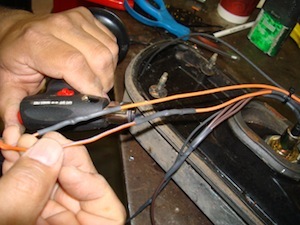 And here we are heating the shrink tubing with a small torch, but a cigaret litter will work fine. 12. All done so let's give it a try. 13. 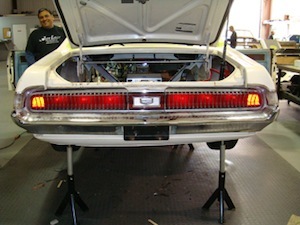 We did not mess with the tail lail lights so they should still work fine, and thankfully they do. 14. When we signal left the first inside light comes on. 16. 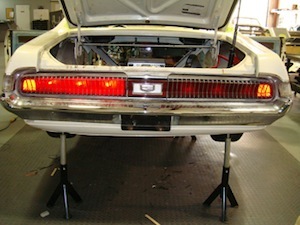 The lights blinked too fast to catch the first and second ones on but they did work as expected and here is all three.